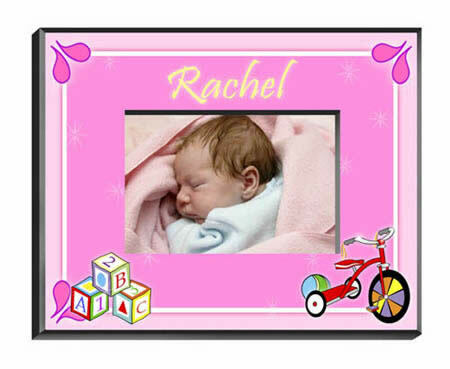 This purple and pink personalized frame will add a touch of color to the baby nursery or your favorite little girls bedroom. Building blocks, a shiny red tricycle, and other whimsical designs make this pretty frame extra special. Frame measures 8" x 10" and holds a 4" x 6" photo.